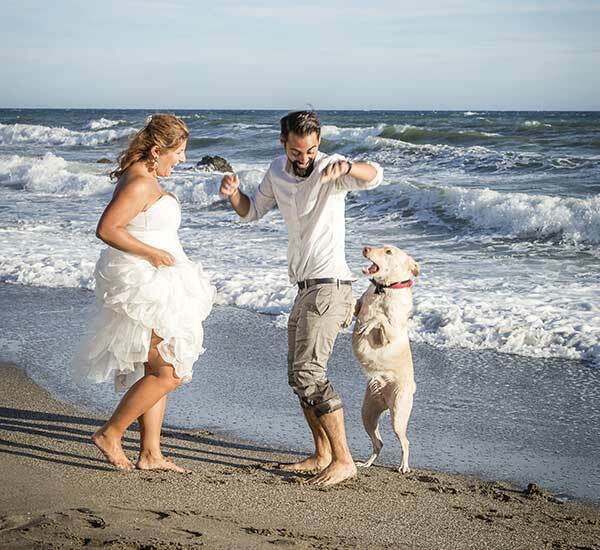 Island Pet Movers has your answer to your pet being part of your special day for your destination wedding in Hawaii! Planning a destination wedding takes time, but with Hawaii’s perfect weather, world-class beaches and towering mountains, it’s well worth it. That extra bit of leeway also means that Island Pet Movers has plenty of time to transport your pet to Hawaii comfortably and guarantee that your pet will be a part of your special day (min of 5 months is required). Nothing is cuter than your little buddy as ring bearer or flower dog. Maybe your pal is not known for taking commands on cue and will be an honored guest instead. We will prepare all documents and arrangements for your pet transport to Hawaii, just as we would for anyone moving to the islands. We will schedule your pet to arrive 2 days before the big day, we’ll pick them up at the airport and board them at our facility. The day before the wedding we have them professionally bathed and groomed. On the day of your wedding, we will bring your pet/s to the event, and a personal pet attendant will stay with your pet for the duration of the event. After the ceremony and of course the pictures, we’ll take your pet back to our facility and send them back home to the mainland the next day. You and your new spouse can enjoy your honeymoon, stress free. Pricing will vary by pet type, and wedding requirements. Space and our personal resources for destination weddings are limited, please book early! 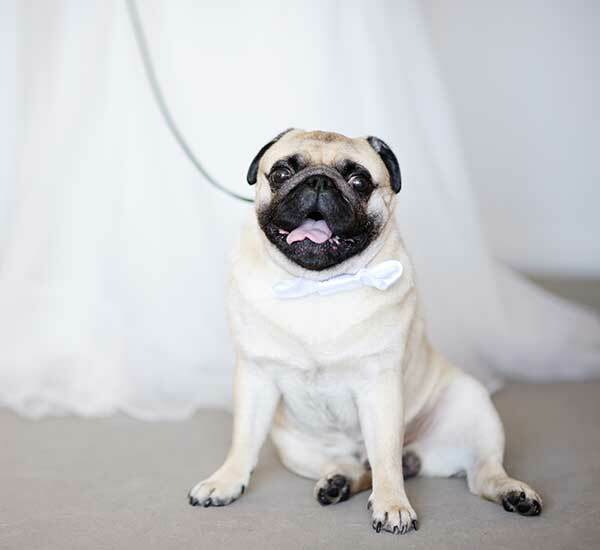 Please note – not all wedding facilities will allow pets, however we are happy to work with your wedding planner to coordinate the pets on property.